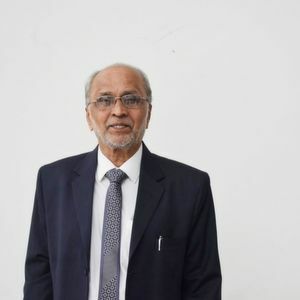 P Ramadas, President, Indian Machine Tool Manufacturers’ Association (IMTMA) enthusiastically talks about the Indian machine tool sector along with the latest trends and hurdles of the industry. What is the current status of the Indian machine tool industry? P Ramadas: The Indian machine tool industry is globally ranked 12th in production and 8th in consumption as per the latest Gardner Research Survey 2017. The current market size of machine tools in India for 2016–17 is estimated to be around 1.78 billion dollars of which the domestic production accounts for about 47 % of the total consumption. The industry registered an impressive growth rate of 23 % during 2016–17. We are expecting a growth of 25-30 % in this financial year 2017-18. We are expecting the momentum to continue for a couple of more years provided the government policies are supportive and maintained. For the next couple of years, the Indian market is very bullish as far as the metal cutting industry is concerned. What are the latest trends in the Indian machine tool sector? Computer numerical control (CNC) is the latest trend in the sector and now it will be based more on sensors. Automation is another trend that the machine tool sector is currently witnessing and at present the real cutting time is about 50 – 60 % for most of the machine tools and we have to go on improving this so that utilisation of machines becomes better. This will be the trend for the next couple of years. How is the Indian machine tool industry performing in terms of exports? Machine tool exports from India reached about 55.3 million dollars during FY17. Indian machines are price competitive in their range making them suitable for exports. Indian companies have grown rapidly over the last decade and have marked their presence across all the broad product categories of machine tools. Many of them are also exporting to countries such as Germany, Turkey, China, Middle East, Russia, South Korea, etc. What are the major hurdles for the Indian machine tool industry? I do not see any hurdles for the next couple of years. But later on, Electric Vehicles (EVs) can become a hurdle as internal combustion engines (ICE) will be replaced by motors. However, the motors will also require parts that will have to be produced by machine tools. So, the types of machines that we make may be different in the future but the machine requirement will not change much. Over a period of time, we see a mixture of both EVs as well as conventional automobiles co-existing in the market. But apart from automobiles, we will also have other sectors to cater to such as defence, road, infrastructure, die and mould, aerospace industry, etc. Overall, we do not see any major threat for the machine tool industry in the near future. Increasing Penetration of BEVs Overcapacity or opportunity for cast aluminium?